City scored four times in the opening 25 minutes at the Etihad Stadium and twice in the second half, to inflict the Blues' worst defeat since 1991. The result saw Chelsea drop to sixth in the Premier League and raised fresh questions about Sarri's job security. "If the president calls I'd even be happy, seeing as I never hear from him. 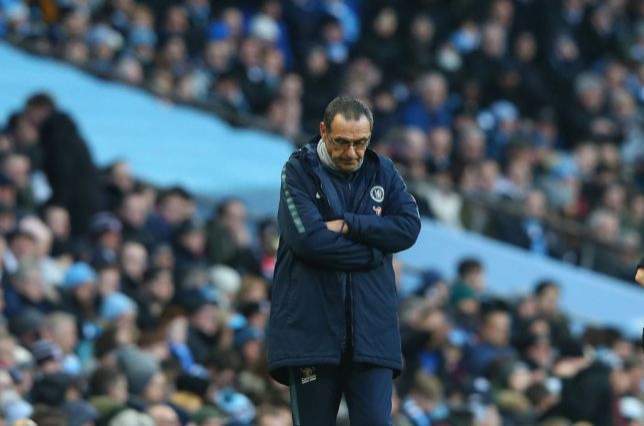 "But I don't know what to expect; people keep asking me what I think about the situation, but I think that's a question which needs to be put to the club," Sarri said.